A few weeks ago I ran across the stevespanglerscience.com website while I was looking for Christmas gifts.I was immediately impressed with all their educational science projects. I always enjoyed science as a child. We have made it a priority in our family to expose our grandchildren to fun science projects. The idea is to make science fun so that our grandchildren view science as a fun subject to study. I am very excited to be reviewing the Transforming Solar Robot Kit. 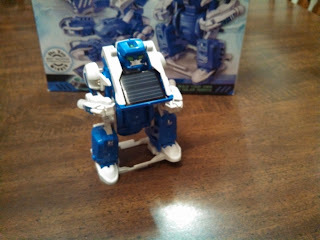 I know this Transforming Solar Robot is going to be a hit this year for Christmas. 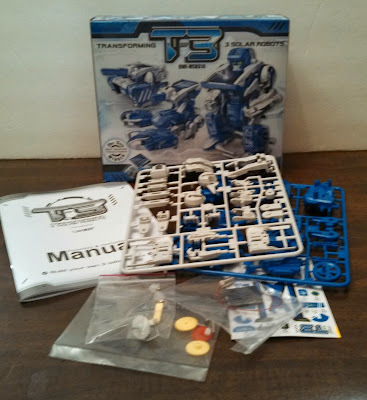 My grandson collects anything related to Transforms. 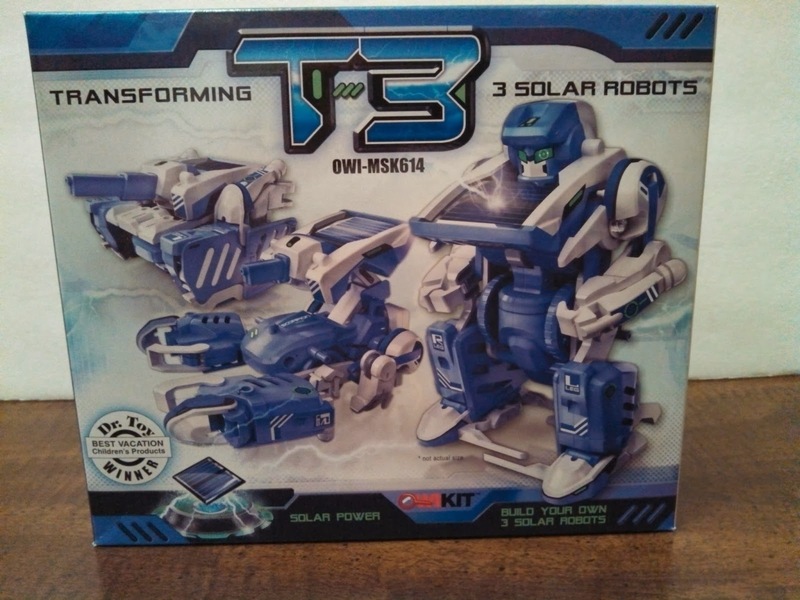 So when I I was asked to review this three in one solar transforming robot I knew this was the model I wanted to put together with my grandson. 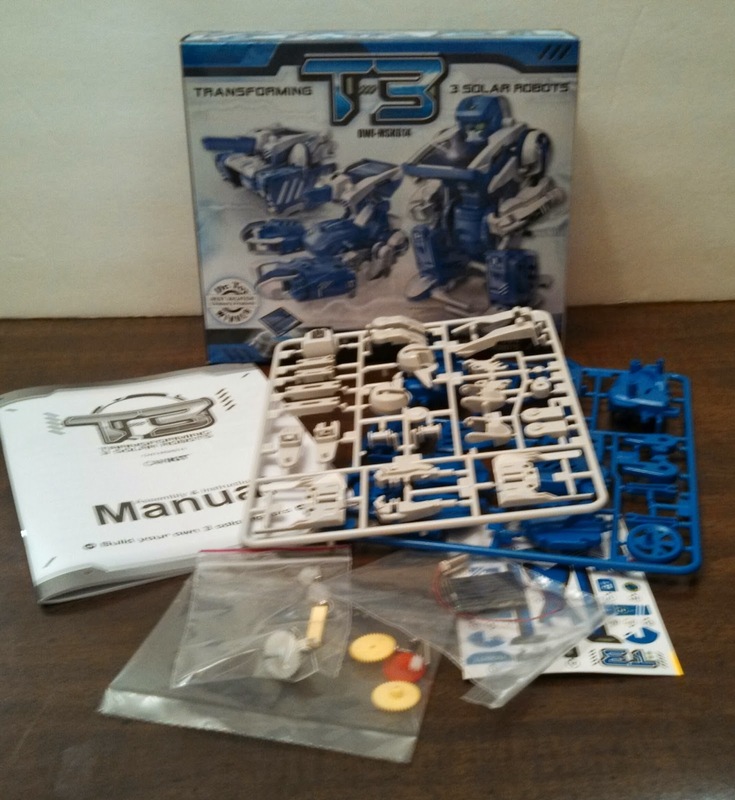 The robot transforms in to three separate modes, humanoid robot, tank robot and scorpion robot. The robot runs on solar power so there is no need for batteries. 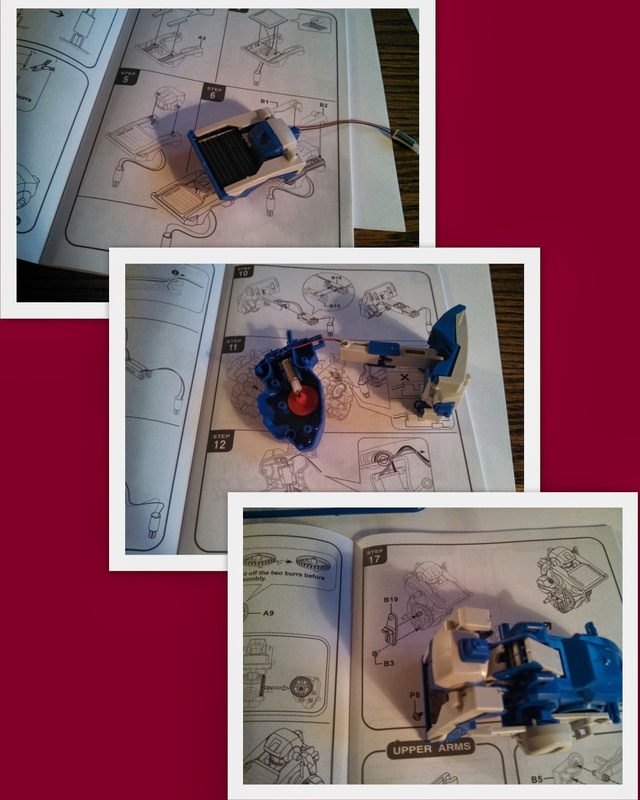 Putting this robot together was quite fun to do with a little help from my grandson. The instructions manual was easy to read which is a plus for myself and grandson as we are beginners when it comes to building models. 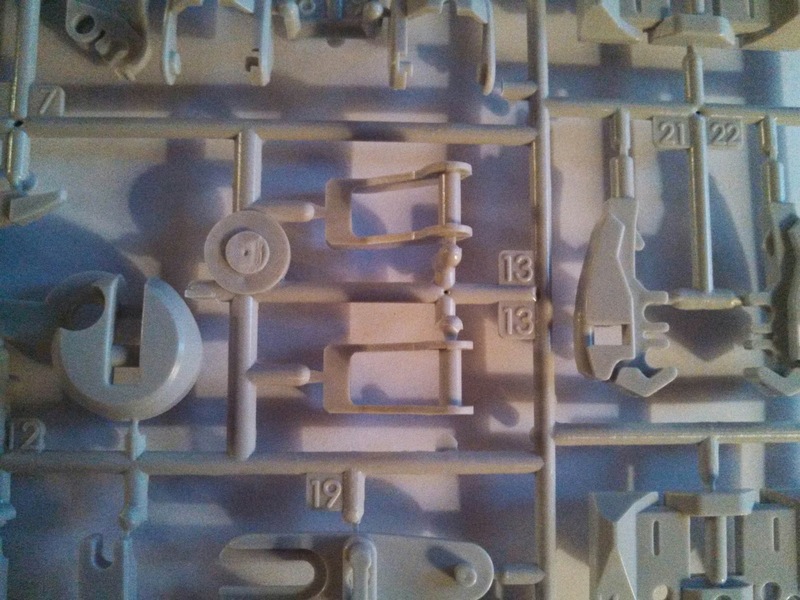 The parts were labeled well so there was no confusion or frustrations in completing this project. Following the manual step by step we completed the project in about two hours with a few breaks. The robot is easy to transform into the three different forms of which my grandson prefers the humanoid robot form the best. It was so exciting to see my grandson learning about eco-responsibility and renewable energy. 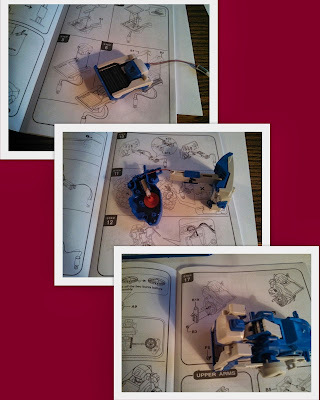 Putting the parts together was also a great work out with his fine motor skills. Pierce has been begging for a robot. He would adore this! Oh my goodness. That sure is a lot of pieces there. I am not real good when it comes to reading and following directions.